Scottish Power's first offshore wind farm West of Duddon Sands. 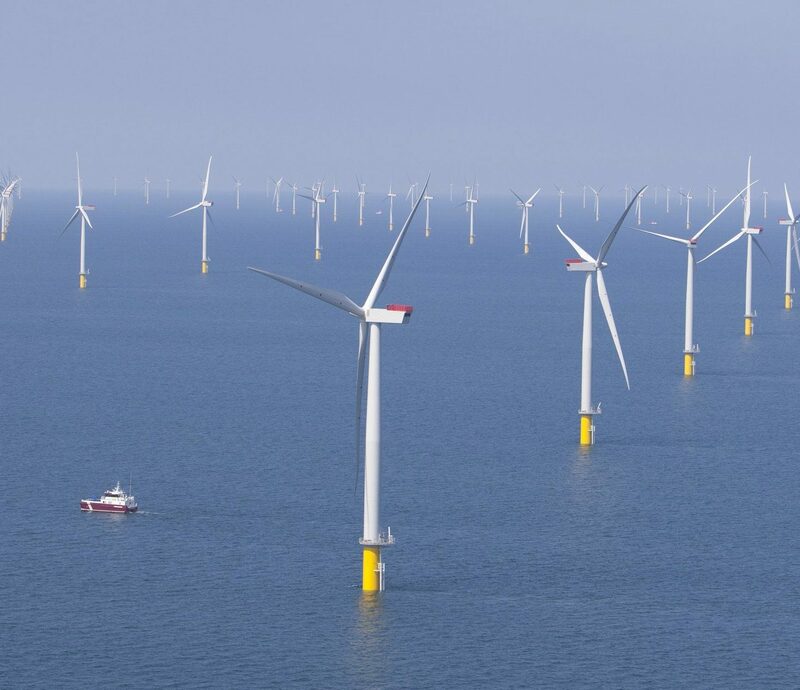 Britain’s gone nine days with almost no wind generation, and forecasts show the calm conditions persisting for another two weeks. The wind drought has pushed up day-ahead power prices to the highest level for the time of year for at least a decade. Apart from a surge expected around June 14, wind levels are forecast to stay low for the next fortnight, according to The Weather Company. U.K. turbines can produce about as much power as 12 nuclear reactors when conditions are right. During the “Beast from the East” storm that hit Britain in March, they generated record levels of power and at times provided the biggest share of the nation’s electricity. Low wind power isn’t a threat to supplies in June when demand is low. On a dull, dark day in winter when heating demand peaks, a calm day might leave the U.K. grid vulnerable. On Wednesday, wind generated about 4.3 percent of the U.K.’s electricity. Coal output has dropped near zero. Gas and nuclear have picked up the slack with 54 percent and 25 percent respectively, according to data from National Grid Plc.